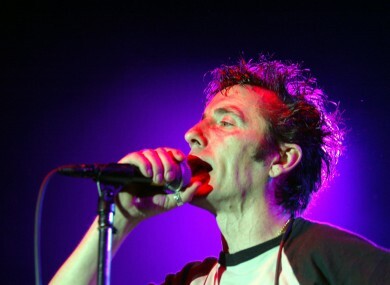 ASLAN’S LEAD SINGER, Christy Dignam, has been diagnosed with cancer. A statement on the band’s Facebook page confirmed the news today. It was initially believed that Dignam had a chest infection, which progressed to pneumonia but it was later discovered it was cancer. Christy was admitted to hospital last week with a suspected chest infection,this progressed into pneumonia. After numerous tests being carried out he has been diagnosed with cancer,he is to undergo treatment immediately and will be unable to perform until he is feeling better and doctors advise it is safe to do so. We would like to thank everyone for their well wishes and messages,we are trying to deal with this news and help him through his illness and hope fans will continue to be as supportive as they have always been. We would like to ask for some privacy at this time thank you Kathryn and Kiera Dignam and all the members and crew of Aslan. The group are said to be cancelling some up-and-coming gigs, including the one scheduled for St. Patrick’s Day in The Olympia, Dublin. Email “Aslan's Christy Dignam diagnosed with cancer”. Feedback on “Aslan's Christy Dignam diagnosed with cancer”.